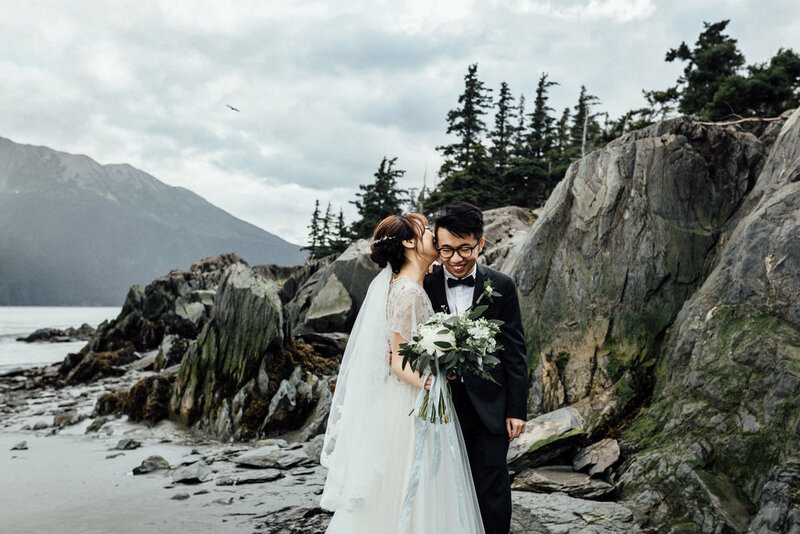 Feng and Shuren's elopement was the stuff of Alaskan fairytales. After getting dressed together (which I loved because it meant they were able to spend the whole day together from start to finish), they hiked to a gorgeous spot where the mountains meet the sea. Moments after they made it official, a mist rolled over the peaks and a bald eagle soared overhead as if someone pressed the "Go-ahead-Alaska-and-dazzle-us-even-more" button.